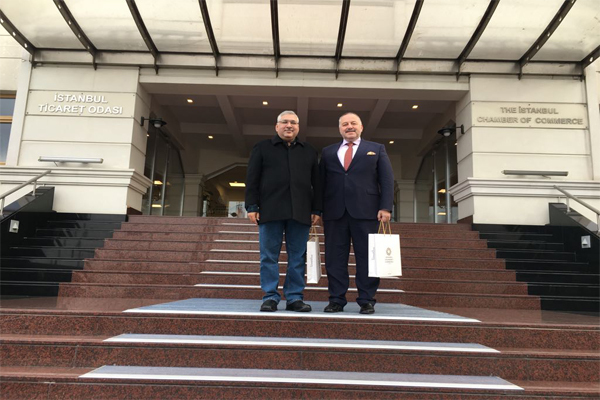 Abid H K Shirwani, DG UMT, is visiting Turkey to seek to seek opportunities for cooperation and participation in the upcoming IBCE 2018. 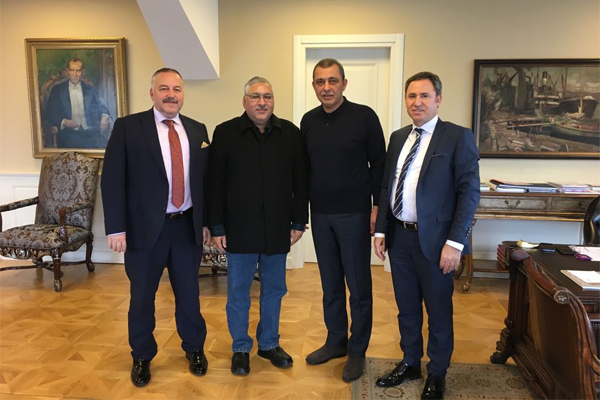 He held a very productive meeting with Ibrahim Caglar, President, Istanbul Chamber of Commerce (ICOC). Executive Members Servet Samsama and Muhamet Usman, Tumsiad General Secretary, were also present during the meeting. The outcomes of participating in IBCE 2017 and benefits accruing to both countries were discussed during the meeting. It is worth mentioning that the ICOC traces its roots to the late 1800s and holds an important position between Turkey and the international community.